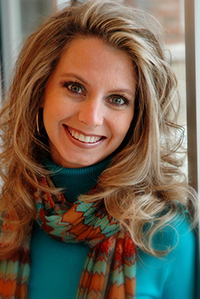 Alina Lehnert, Ph.D., LPC is a Leadership and Strengths Development Expert. She has spent two decades studying human behavior, talent, and leadership. She uses her deep understanding of these concepts to help individuals, organizations, and communities become stronger leaders, employees, and citizens. She founded Lehnert Leadership Group LLC as a platform to inspire stronger versions by facilitating learning in order to maximize life and leadership. The Gallup Organization presented her with the StrengthsQuest Architect Award in recognition of her leadership in strengths-based education research and program development. The Springfield Business Journal honored her as a Most Influential Women Recipient in 2014 and a 40 Under 40 Finalist in 2009 for her professional and civic achievements. Alina lives in Springfield, Missouri with her husband, Darren. She has two bonus sons.